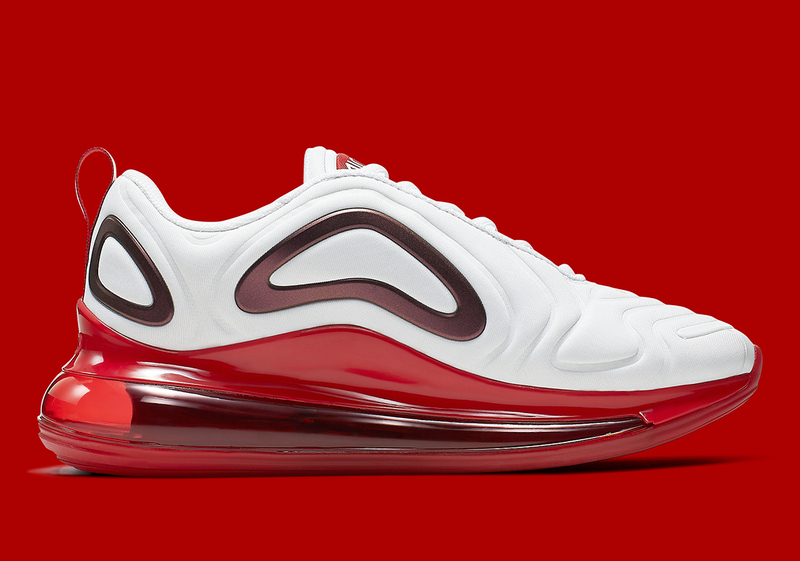 Having released in a profusion of women’s-only colorways so far this spring, Nike’s Air Max 720 is set to continue its charge towards the summer with even more new makeups, the latest of which to emerge is this new special-edition “Gym Red.” Featuring an appealing combination of classic colors and a modern-day aesthetic that’s sure to please any Air Max lover, these 720s feature a crisp white textured upper with sultry burgundy overlays. 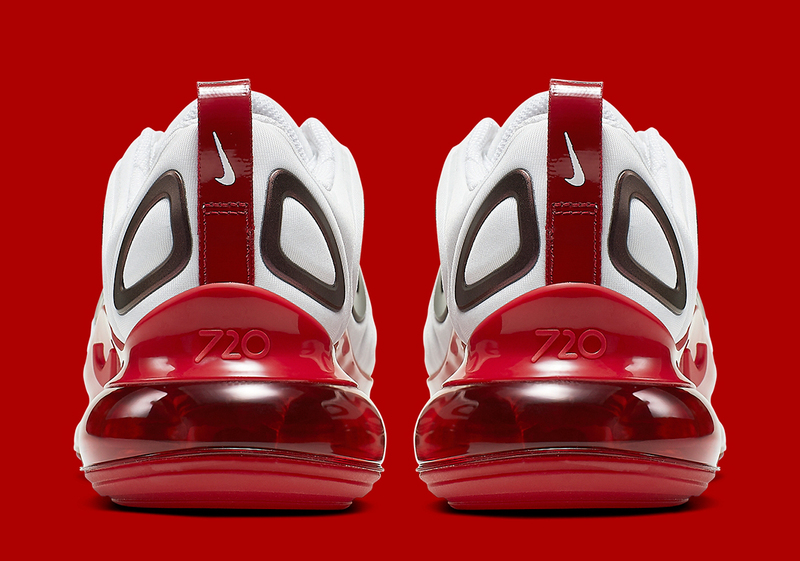 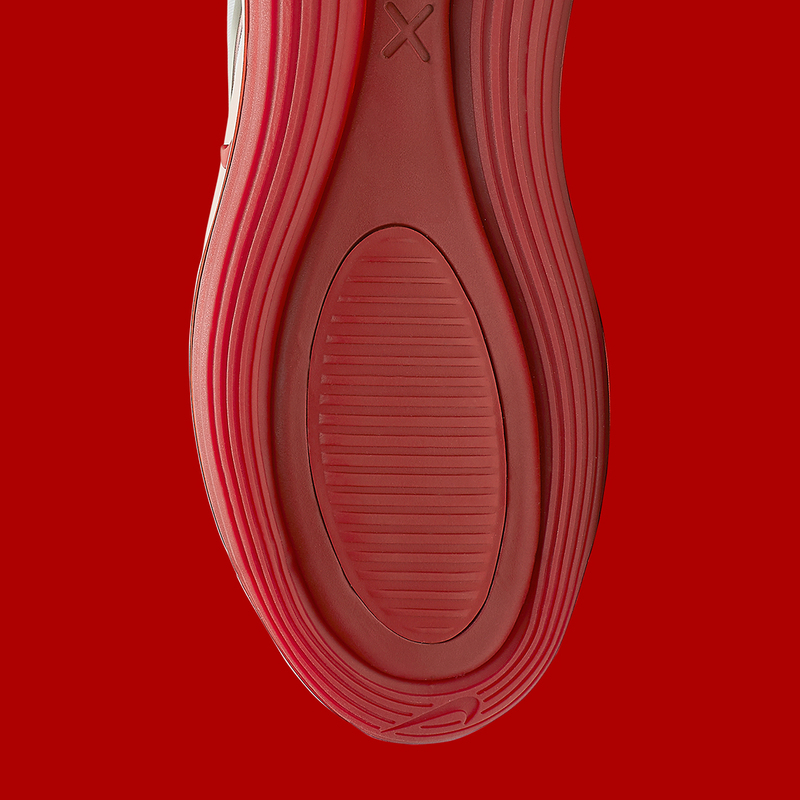 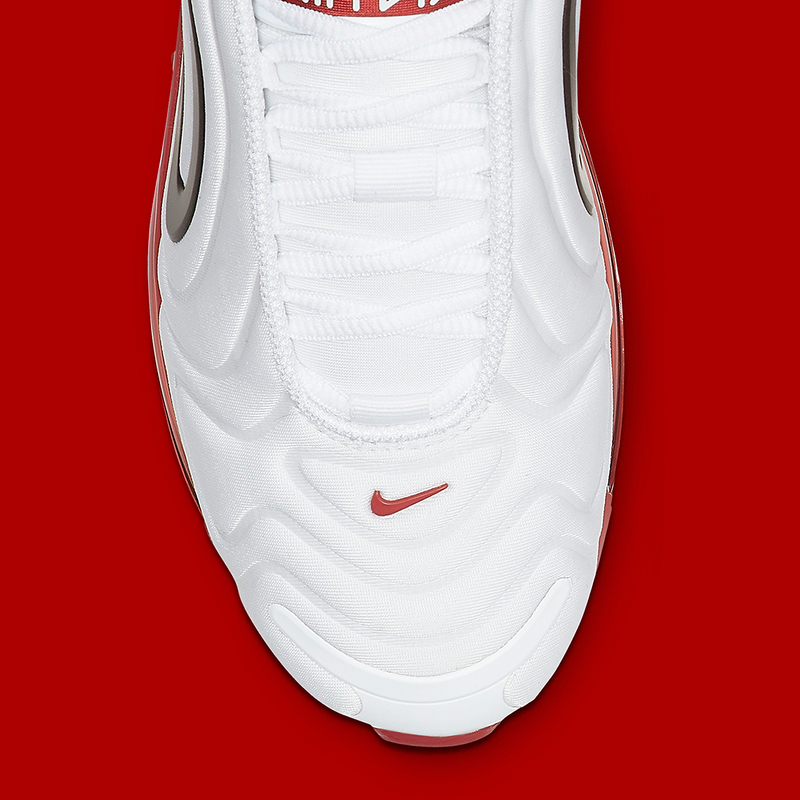 Gone is the standard fabric heel tab, replaced by a bright red leather iteration with a white Swoosh graphic, while the plastic midsole clip, bulbous Air Max cushioning unit, and outsole all call upon the same sporty shade to complete the look. 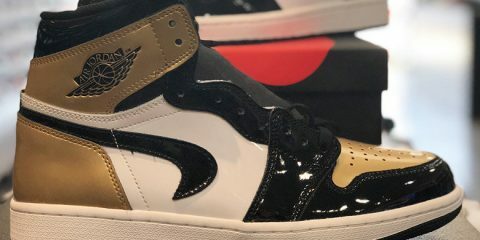 You can expect these Nike shoes to release on April 18th at the retailers listed below for $180 USD, so enjoy a full set of official images while you wait for the drop.